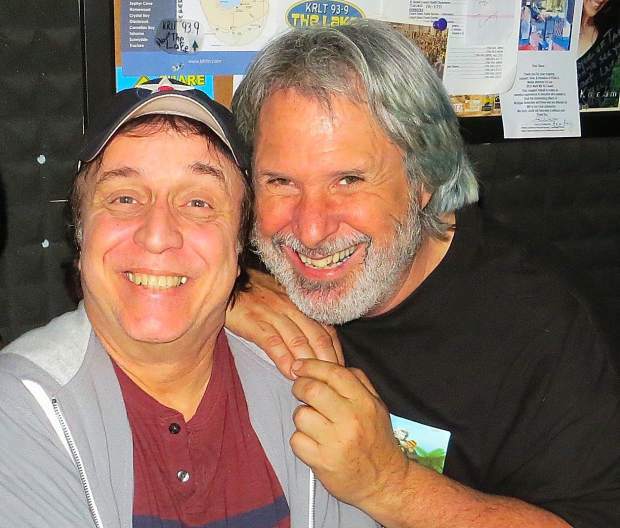 Dennis Blair, pictured with Howie Nave, performs at The Improv through Sunday, June 24. The 2nd Annual Comedy Cage Match is back! If you missed the first one last year there’s no excuse this time around. The Comedy Cage Match takes place once again in the Vinyl showroom at Hard Rock Hotel and Casino over the course of two nights. This year’s contestants include comedians Monica Nevi, Alex Elkin, Trenton Davis, Key Lewis, Auggie Smith, Sean Peabody, Jill Maragos and Anthony Krayenhagen. All eight start out Friday, June 22, and four are eliminated — the remaining four move on to Saturday (June 23) night and ultimately only one comic is left standing. The idea belongs to Ron Stubbs, who’s an entertainer himself. It’s an interesting concept and a good opportunity for comedians to find another avenue to get much-needed exposure. Tickets are $20 each night or $35 for both nights (purchase online at http://www.hardrockcasinolaketahoe.com). Doors open at 8:30 p.m. and guests must be 21. Don’t forget that laughter is the best medicine. One of the more talented and diversified comedians is here this week in the way of Dennis Blair. Yes, he’s a headlining comedian, but he’s also an accomplished musician. In fact, other headliners have asked Blair to open for them because of his diversified talent. The late George Carlin exclusively used Blair to open his shows on the road up until the time of his death. The Beach Boys, Tom Jones, Gloria Estefan and even the late Joan Rivers all also tapped Blair’s talent. Jackie Mason and the legendary late, great, Rodney Dangerfield gave Blair his start. Back then Dangerfield was known for giving a lot of young comics their big breaks (Sam Kinison immediately comes to mind), so when he was booked across North America playing to sold-out theaters he asked Blair to come along and open for him. After that, the doors opened almost immediately. Blair was booked multiple times on “The Tonight Show,” appeared on HBO and served as co-host on the “Stephanie Miller Show” with comedic legend Elayne Boosler. When Blair was finally in a position to give back, he co-wrote the movie “Easy Money” for Dangerfield, who then returned the favor by having Blair make cameo appearances in some of his other movies. On the small screen, Blair co-wrote and was a featured actor in two Dangerfield specials on ABC and was creative consultant for the album “Rappin’ Rodney.” The title song (which Blair also co-wrote) was nominated for a Grammy. I’d go see Blair for his stand-up and just let the wave overtake you.